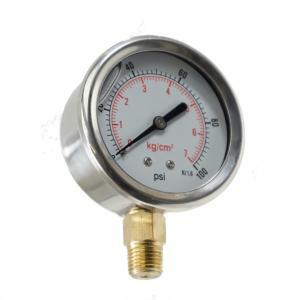 This 2.5" glycerin filled pressure gauge has a bronze bourdon tube and a 1/4" MPT connection. These are great for keeping track of pressure differential in your large filters or venturi style injectors. Measures up to 100 PSI.